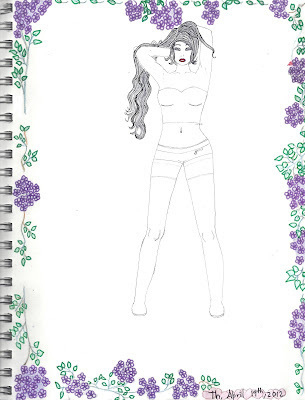 ~PAPER DOLL EVE~: Meet Eve my new Facebook paper doll, to color. 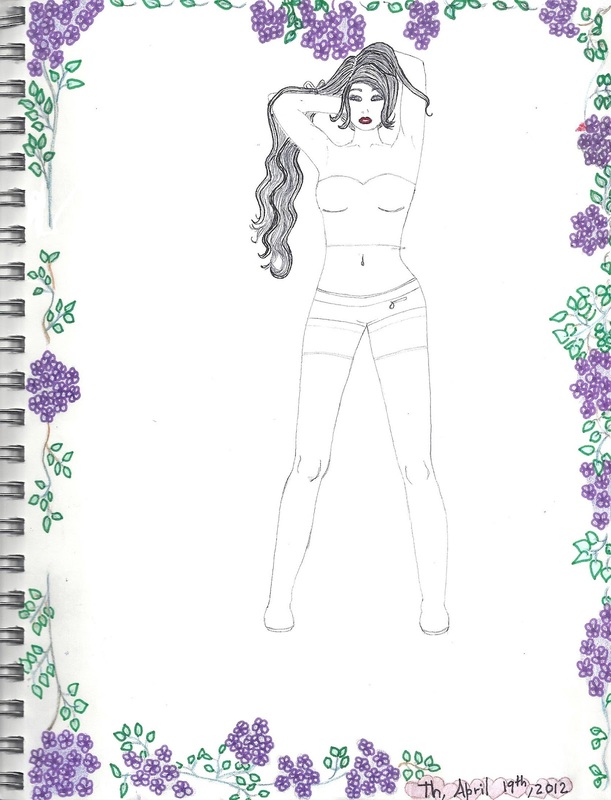 Meet Eve my new Facebook paper doll, to color. She lives in my also new sketch book and my Facebook page. This is the only paper doll I have ever seen with long hair that's not in the way. She is my Facebook doll because I am going to share some outfits only there. Share back with me on Facebook. Clothes coming soon plus a finished, colored paper doll. Coloreala y comparte conmigo en Facebook. I used to love these when I was a kid. Making glamorous outfits all of my own design. Why not?! You are so good at drawing the paper dolls and making designs. Oh, how I wish I could draw! 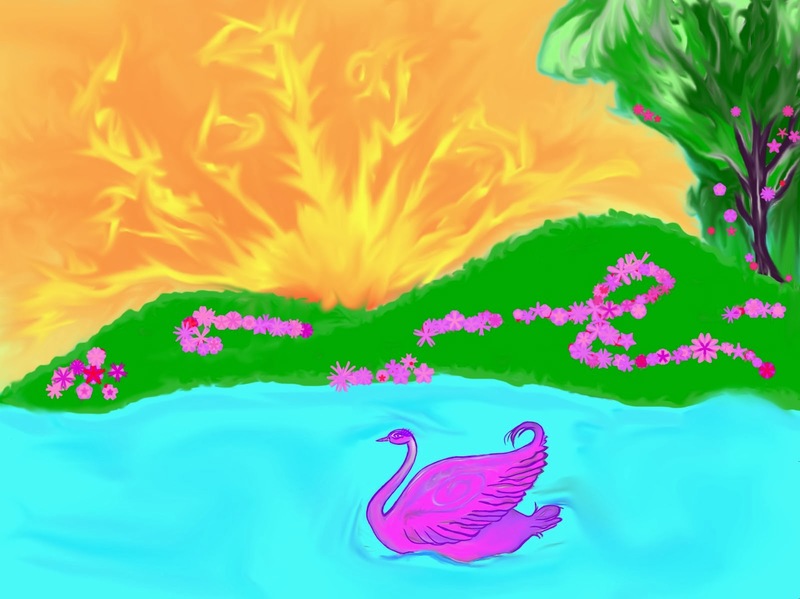 Thanks for adding this to Creative Monday and have a wonderful week. Thank you so much Judy. Always happy to link up with you and Clairejustine. Judy if you think you can't draw, that's probably why you don't. A lot of it is trying, and an I can do anything attitude. So try sometime. You have a great week too. your work is fabulous...I remember loving this when i was a little girl...how fun! Thank you so much. And you are never too old for paper dolls. thats a really cool drawing!! Thank you Bailey. I am of course following you back. Enjoy your weekend.